In a world where there is a War on Drugs it is hard to look at substance dependence and addiction through an unbiased eye. People who are dependent on drugs tend to be looked at as horrible people who do not care about themselves or the people around them. The War on Drugs began in order to decrease illegal drug use and addiction. In doing so, people who are dependent on drugs are being criminalized, sent to jail and losing all rights. This is unjust because people who are dependent on drugs aren’t horrible people; they are people who suffer from a horrible condition. Many view addiction as a brain disease because even when people work to stay sober, there is often a compulsive drug-seeking feeling. The War on Drugs can be beneficial if instead of criminalizing people who are substance dependent, we help them to free themselves of their addiction. Instead of sending a drug offender to prison, it would be more beneficial to send that individual to rehab. That way there is more of a chance at recovery and a better, more positive life. 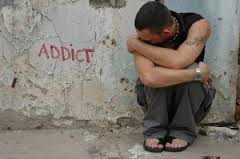 Drug addiction is very serious and should be handled carefully. If you are struggling with any kind of addiction, the psychologist, psychiatrists, and therapists at Arista Counseling and Psychiatric Services can help. Contact the Bergen County, New Jersey or Manhattan offices at 201-368-3700 or 212-722-1920. Visit www.acenterfortherapy.com for information.